Magnus Hansson's siteswap generation and animation program, Siteswapper, for Windows CE. Check the validity of siteswaps. Java applet for exploring passing patterns with 3 clubs per juggler involving crossing passes. Interface generator for generating interfaces for passing patterns. Fritidsjonglörerna, the juggling club in Stockholm. 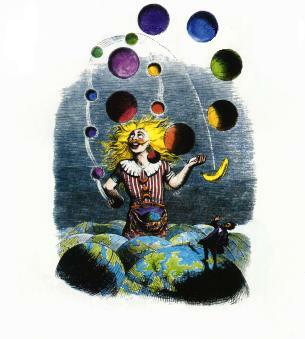 The cover of Innuendo by Queen; original drawing by Grandville.